The economy may be starting to wake up from its sleep, but it’s certainly slow to rise. Cutting spending and saving money may have been key to your weathering the storm, but you can also put yourself in a better position by seeking out ways to generate income. So, instead of watching those reruns or surfing the Internet after your work day is done, try putting your spare time to use and make some extra cash. The online survey industry is rife with scams, so you have to do your homework when exploring the options. Look for websites that are 100% free to join and never require you to make payments – CashCrate is a great place to start. Typically, you can expect to earn $2 to $3 per survey, each of which usually takes around thirty minutes – any website offering payouts beyond that is more than likely a scam. Even though this only translates into around six dollars per hour, that’s still six more dollars than you’d get watching the evening news. Go through every drawer, closet, and shelf in your house and you just may find a gold mine waiting for you. You can open an account on eBay or Amazon in a matter of minutes and list and sell your old things. You’d be surprised at what people are willing to pay money for. Old clothes, past-model electronic devices, books, DVDs, even sporting equipment – in a global market, your sure to find a buyer for everything. Just price your items appropriately, package them securely, and ship them out quickly and carefully to avoid returns. If you’re a talented writer, write articles for blogs in your areas of expertise to make some extra money. Payouts vary, but depending on your knowledge level, it can turn into a great opportunity and you can look to increase your freelance writing rates over time.. Freelancer and Elance are a few good websites to check out. Or, you can even consider starting your own blog. If it’s successful, you can make significant money by selling advertising space. If you find success selling your old items on the Internet, consider expanding. Sign up for a website like RedFlagDeals to get deals sent to your inbox on a daily basis. Compare an item’s purchase price to an estimated resale price (minus all appropriate fees, including packaging and shipping) and you might just be able to launch a small business from the comfort of your own home. If reselling isn’t your cup of tea, take advantage of your talents. Identify what you do well and figure out a way to make money off it. If you’re successful, it could blossom into a full-time career. Don’t work yourself to death just for a few extra dollars. By adjusting your lifestyle just a bit, however, you can make time for some great income-generating activities. Don’t cut out TV time if it relaxes you, just cut it in half. If you love getting lost on the Internet, consider scaling it back a bit. Some newfound money can go a long way to easing the burden of your monthly bills, reducing your stress, and making way for a more productive “you,” so get started today. 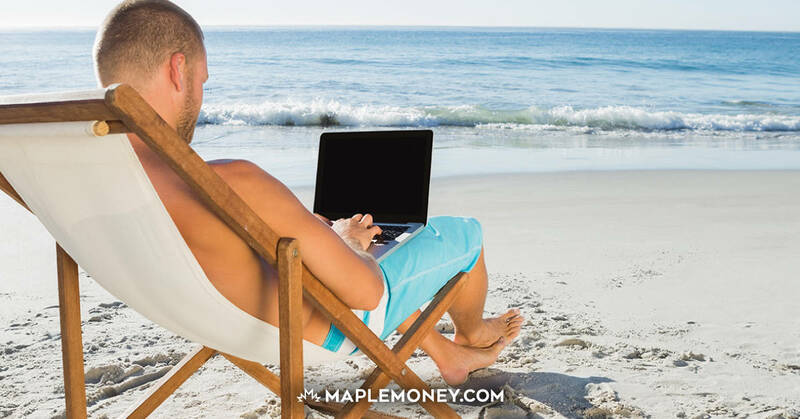 What other ways can you think of to generate money in your spare time? David Bakke always searches for ways to save and make money and shares his findings on the personal finance blog, Money Crashers. I’ve always liked the idea of generating extra income from my side hustles but earning from online surveys looks quite cumbersome to me. Freelance writing comes at the top of my list since it amounts to a good hourly rate if you manage to finish your articles quickly.